They say that eyes are the window to the soul, so why not shake things up and play up those pretty peepers! 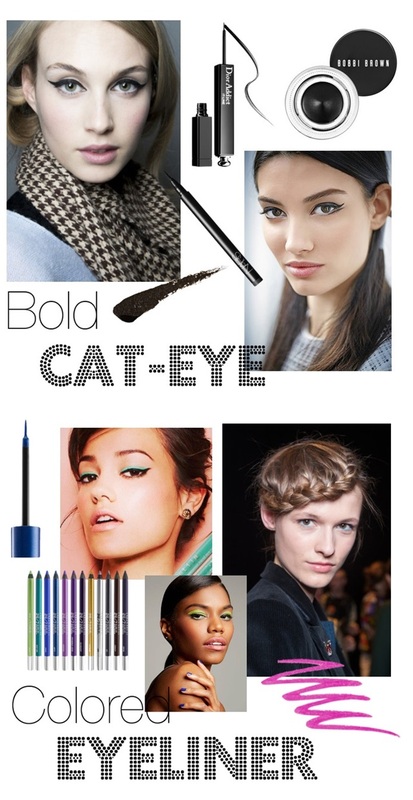 Out of all the gorgeous new makeup trends to walk down the Fall 2014 runway, 4 found a way to up our eye game and transition to our daily makeup routine. 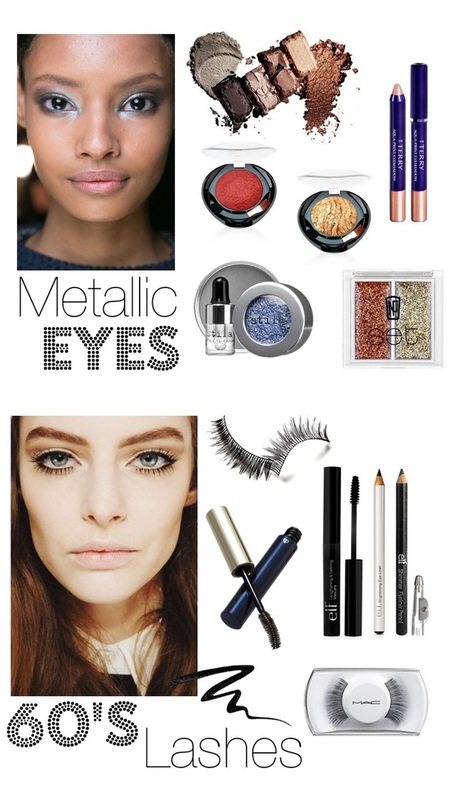 Metallic eyes were all over the runway, from Donna Karan to Rodarte. This dreamy effect will make your eyes shimmer and shine. Gucci and Prada went mod with doll-like lashes. Pile on the mascara and falsies for this seductively retro look. Favorites like Dolce & Gabbana, Jean Paul Gaultier, and Herve Keger by Max Azria love a cat-eye with a modern twist. Whether exaggerating the flick, or double winging it, definition is key for this sultry look. Ultra-bright was the name of the game at shows like Altuzarra and Chanel. Use a rainbow of colored eye pencils and liquid liners to achieve this bright-eyed look. Which eye-makeup trend do you love the most? I don't wear much make-up and I've always wanted to sport a cat-eye. I just can't get it right! I gotten better over the years but I'm completely jealous of those girls who get it perfect every time! I'm going to do a cat eye tutorial soon...been obsessed!